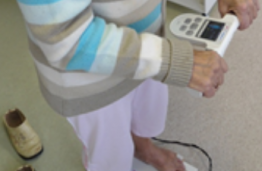 Long-term monitoring is an integral part of the management of chronic diseases. 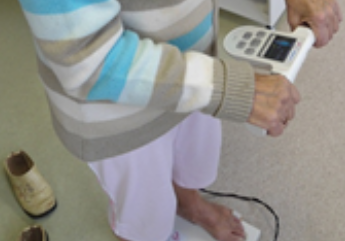 Upgraded standard bathroom scales with handlebar and footpad electrodes allows to measure weight and body composition, extract arterial stiffness characterizing parameter and detect heart arrhythmia (atrial fibrillation). Implemented signal processing algorithms are noise and artifacts resistant, hence, the device functions with adequate accuracy regardless of the user environment. Long-term health monitoring is simplified through scales integration into wireless health hub via Wi-Fi connection to the server. Multi-parametric scales can measure arterial stiffness and detect heart arrythmias.